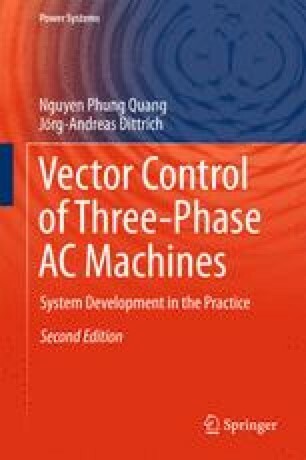 From the principles of electrical engineering it is known that the 3-phase quantities of the 3-phase AC machines can be summarized to complex vectors. These vectors can be represented in Cartesian coordinate systems, which are particularly chosen to suitable render the physical relations of the machines. These are the field-orientated coordinate system for the 3-phase AC drive technology or the grid voltage orientated coordinate system for generator systems. The orientation on a certain vector for modelling and design of the feedback control loops is generally called vector orientation.